Play for a cause! 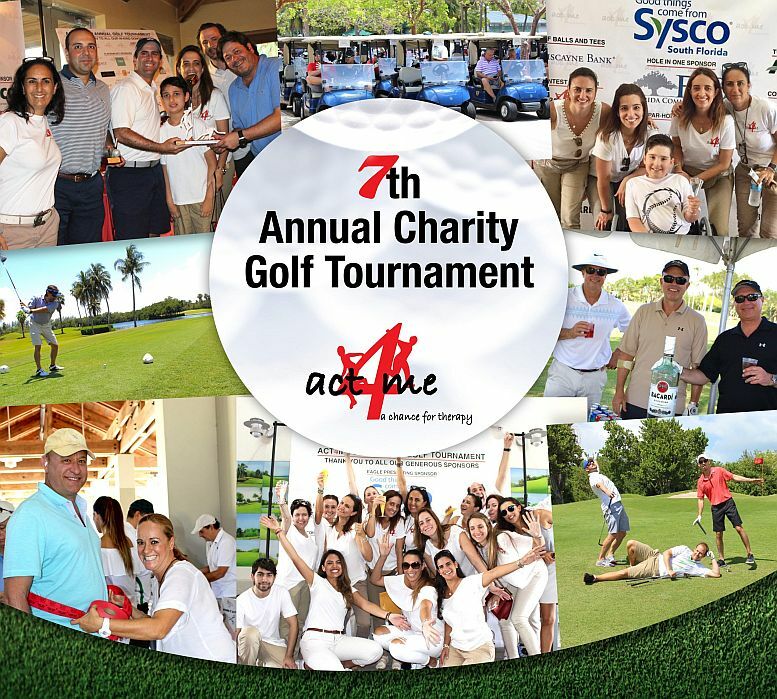 Join us for a rewarding day at the Championship Crandon Golf Course. Join the Miami Foundation and hundreds of other donors in changing our city through giving in the single largest donation event in the 305. Activities include face painters, clowns, stilt walkers, magicians, storytellers, arts & crafts, urban gardening workshops, bounce houses, rock climbing walls, and music and dance performances. Saturday, November 5, 2016, Race starts at 8:00 a.m.
A night of fun for a good cause! Thank you to all our players and sponsors! Artist generously donated 20% of proceeds to Act4Me. A huge thank you to all the players and sponsors for helping us raise funds for 12 more families in need!!! Thanks to the support received during our poker tournament, we have been able to grant 7 new kids! A huge thank you to all the players and sponsors for helping us make a difference. Thank you to all players and sponsors being All-in for the kids! What a blast everyone solving the clues driving golf carts on the Key! Thank you to our many Sponsors and Players for making this first tournament a total success! Thank you Loreto for donating a portion of your proceeds to Act4Me! Another year, another Women’s gathering of food, fun and cards play! Thank you Loles! Thank you Cool de Sac for hosting this event again and helping us help kids! Thank you to our sponsor Giroski for helping us help so many kids! ALL IN for the kids! Another successful poker tournament allowing Act4Me to grant 3 new kids! A Women’s gathering of food, fun and cards play! Thank you Loles! Thank you Cool de Sac for hosting this fun event of Love, Give and Play, where kids had the opportunity to play with some of the granted kids from Act4me. Marcowicz Fine Arts and Artist Benedicte Blanc Fontenille join forces with a silent auction, and partial proceeds of sales for month of December, to help the children of Act4Me. Thanks to our artist and friend for her never ending generosity. All in for the kids! Gracias Diego! What a fun night! Our bi-annual Poker Tourney @ the Beach Club…another success, raising funds for 3 grants. Santa is there for all kids, thank you Paola, Ceci and Jimena for getting a Santa for Act4Me. Thank you Jimena for organizing this seasonal event again! The kids had lots of fun and great costumes ! When friends get together to learn make up techniques and get pampered….they can also raised funds for a child needing therapy. Thank you Essence Corp for sponsoring this event. Thanks to amazing Baker Roxana Fernandez, many joined, tasted and fundraised . All organic, and guaranteed no weight gain, lol! Another generous group of friends have organized 4 Asana Yoga Community Classes during the month of May, to benefit act4me and help carry the spirit of giving. Thank you all at Prana. Thank you so much Danny Mendoza for the karate tournament you have dedicated for Act4Me! A perfect combination of energy and generosity was offered by Waalay Yoga during this amazing community class. Act4me hosted its launching fundraising event with a Mexican theme dinner. Great friends, great success. Thank you all for the kids we will be able to sponsor. Anyone willing to host a theme dinner, please contact us. Act4me and one of its sponsors GreenStreet Cafe, participated in the big come back of Coconut Grove Bed Race! Though no win…lots of fun! Will try to do better next year…!!! !